It feels like this quilt was in process forever! In fact, I posted about cutting the pieces on August 24th, less than two months ago. 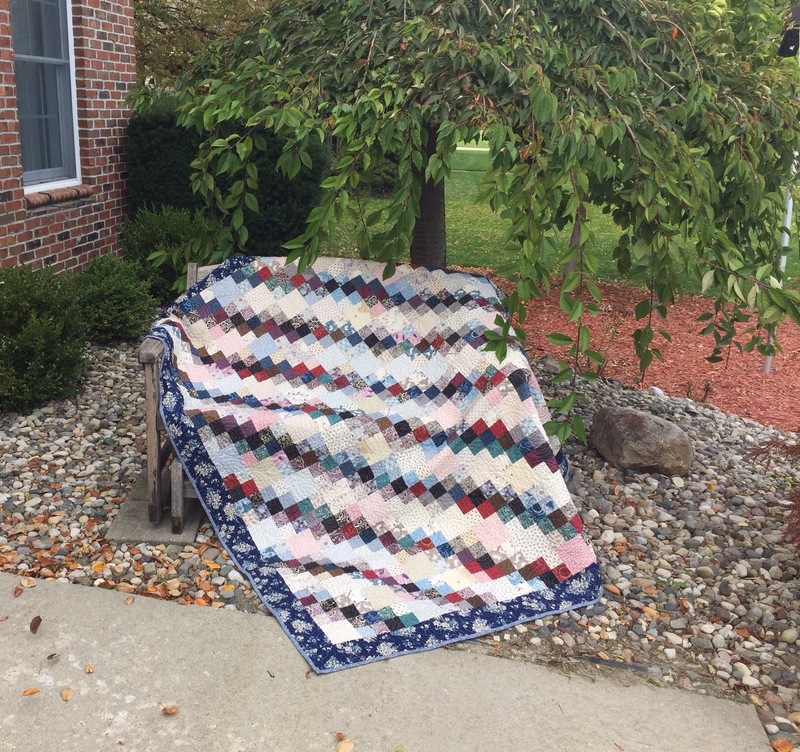 The first pictures show the quilt before washing. I really like the pixelated look that you get when viewing this at a distance! The quilt finished at about 68 by 80 before washing. I haven’t measured it after! In some places, I ended up with “strings” of like squares. This was not intentional but I liked the look so I left it. I used a pantograph called Ground Cover. I love the texture that it gives. I struggled to find the right binding fabric in my stash and eventually settled on this blue. Not a usual choice for me, but I rather like it now. It is always a challenge to get good pictures in the wind! Your quilt is beautiful, I love pic in the wind! And your quilting is stunning, well done! I rather like the blue a lot. 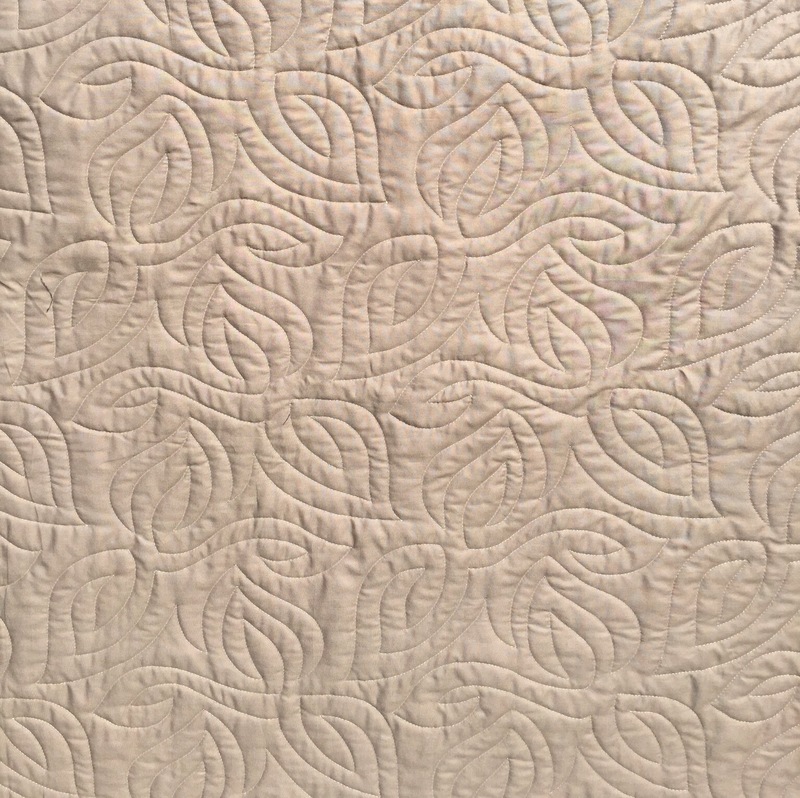 Nicely quilted. I really like your choice for the binding. 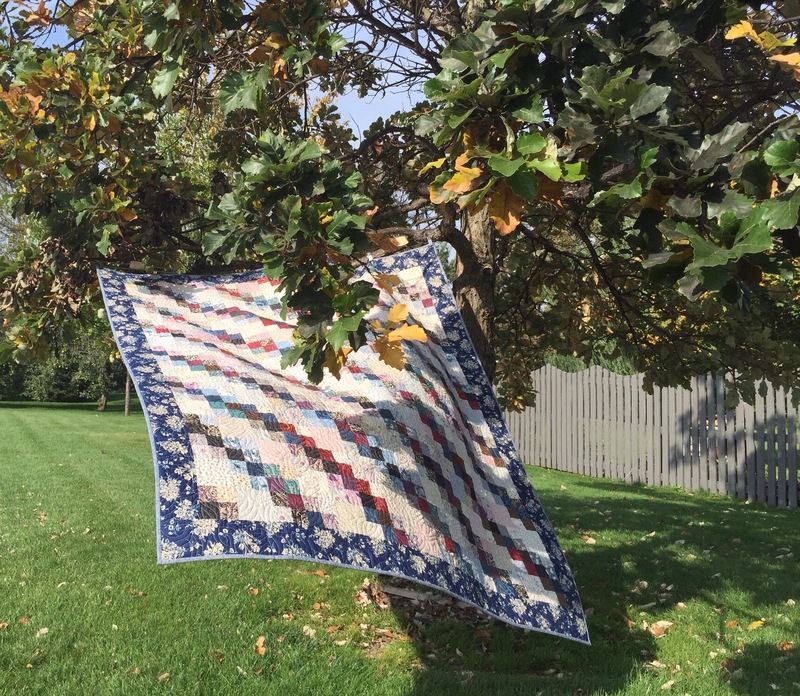 It picks up the light blue in the rest of the quilt so well. It turned out great. 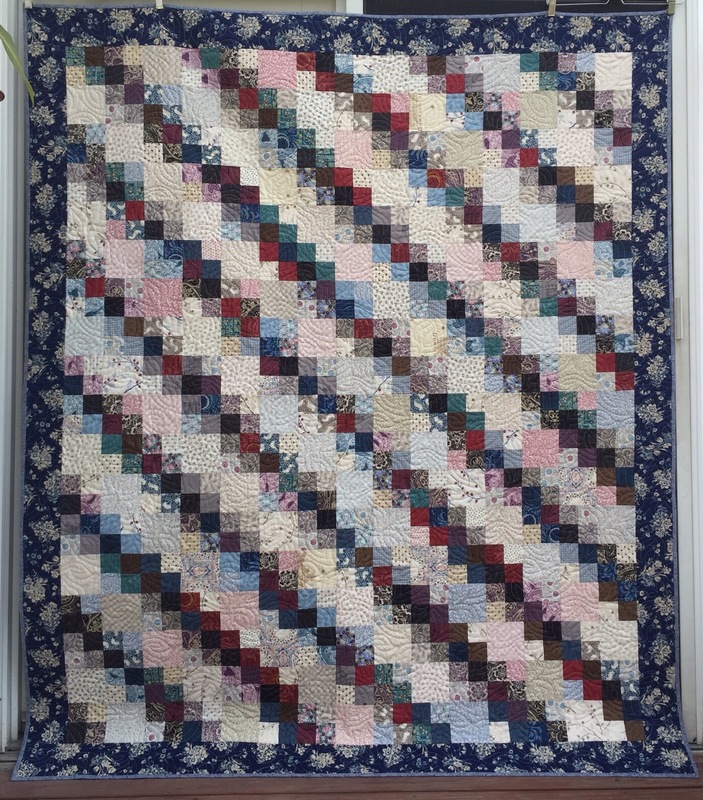 Love the quilting pattern. Kudos. 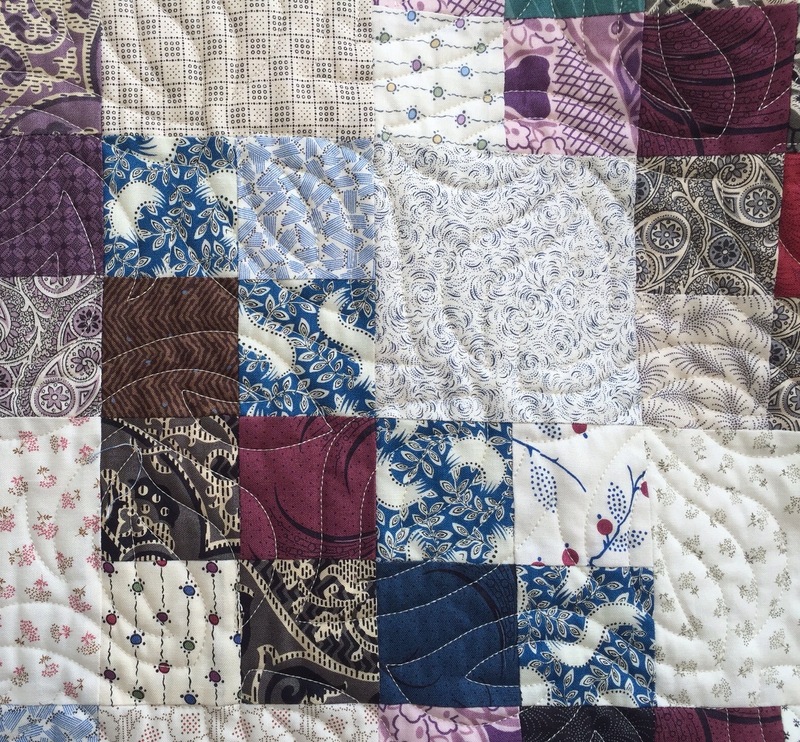 Love the quilting. It did crinkle up nicely! 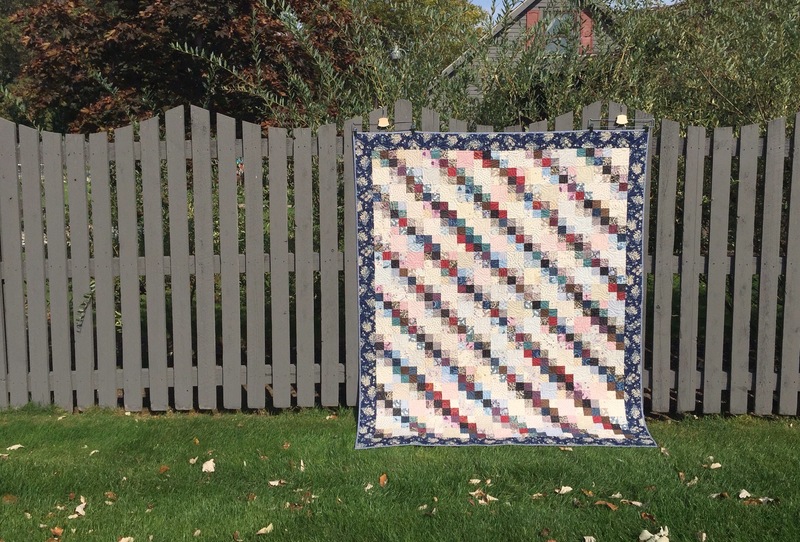 Great pattern for scraps. Congrats on another beautiful finish. This is gorgeous! 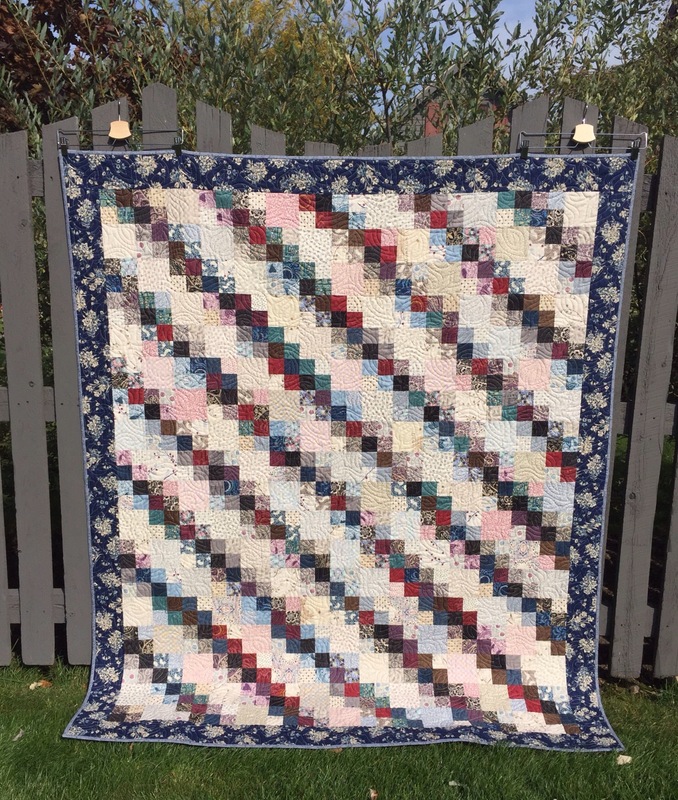 I just love a crinkly quilt! I, too, love the pixelated look. This would be a great scrappy quilt with some leftover squares, too. Thanks for sharing your beautiful finish. 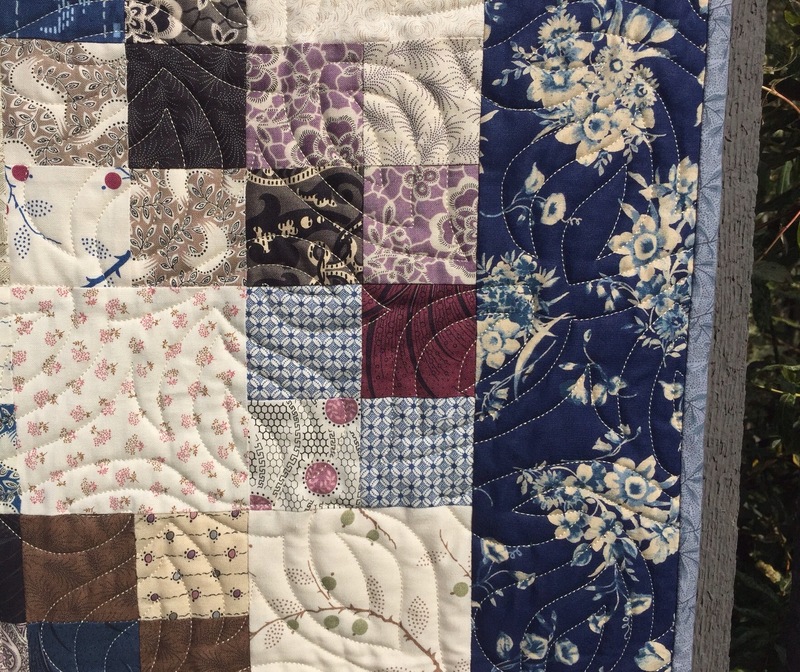 I like the quilting pattern you used, and post-washing looks great. WOW!!!! 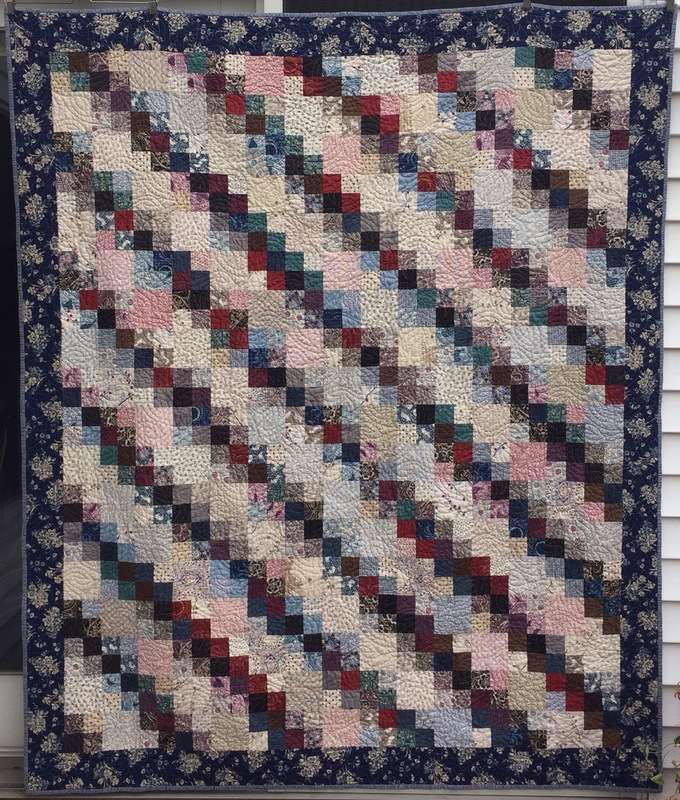 Another beautiful quilt. And by the way thank you for your information about what basic machine quilting rulers I should have at first. I have ordered and now waiting to get started. Thank you again and for sharing your beautiful accomplishments. It probably SEEMS like forever because of all the thought that went into it before you even started. I love the photo of it in the wind. Thank you so much for continuing to share your accomplishments with us. Wonderful finish Katy !! It’s simply awesome !! Lovely finish. 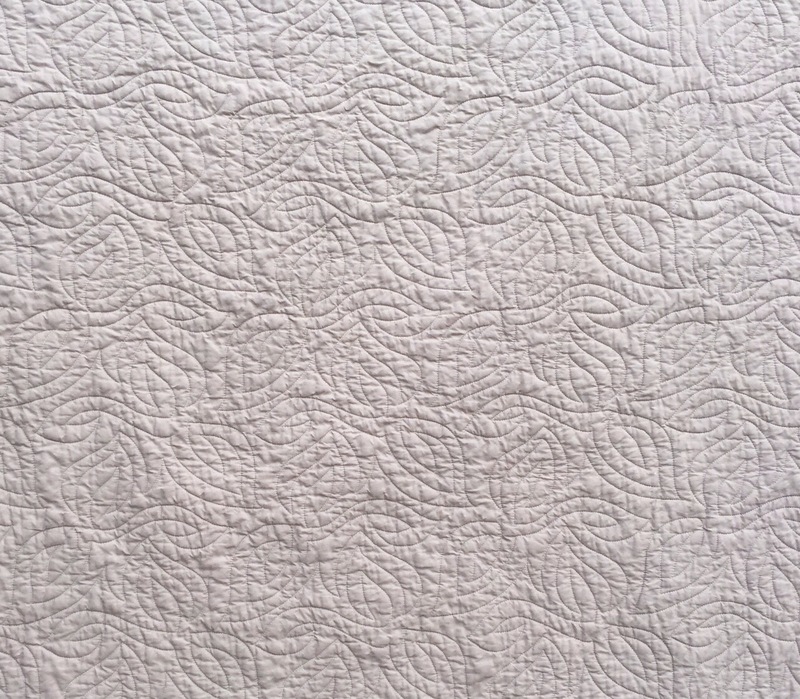 I just love the way quilts get all crinkly after washing. Another beautifully crafted quilt, Katy. Thanks for sharing!